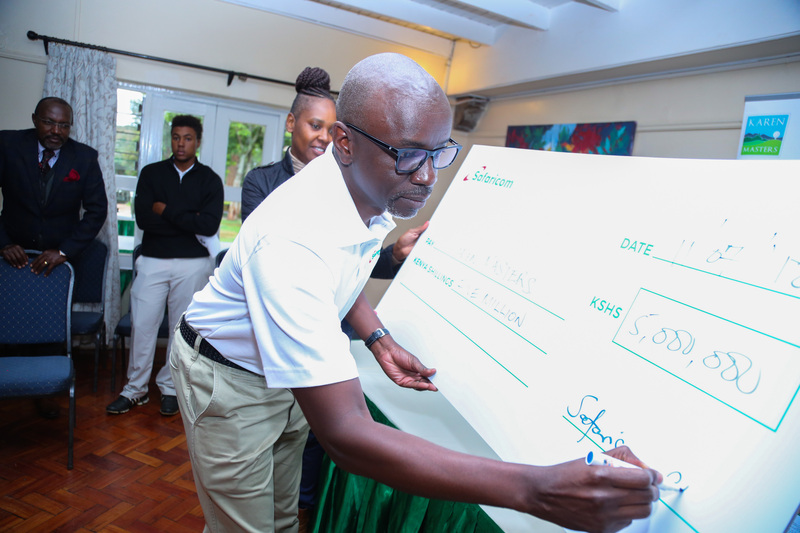 Nairobi, Kenya –Safaricom (NSE: SCOM) has today announced a KES 5 million sponsorship towards the 2nd Edition of the Karen Masters Tournament, scheduled to take place at Karen Country Club from 19th to 22nd July 2018. As the official telecommunications sponsor, the amount will cater for event logistics, a fully kitted media centre and wireless connectivity for the secretariat. Part of the sponsorship will also be used to support the Junior golfers shootout. “We are proud to be part of the second edition of the Karen Masters Tournament and are especially thrilled that this year’s tournament is affiliated with the Sunshine Tour which is part of the International Federation of PGA Tours. It’s always a pleasure to partner with KCB on a tournament that provides Kenyan golfers – both amateurs and Pros – an opportunity to showcase their prowess,” said Steve Okeyo, Director – Regional Sales and Operations. The KCB Karen Masters continues to attract players from around the globe, with a total of 156 including 4 amateurs. There are 21 countries represented with the bulk from Africa; Kenya will be represented by at least 32 Professionals and 20 other pros from other African countries will participate alongside the Sunshine tour members.